Following Proper Cleaning Protocols will mean you can pass inspection. The most important item in your kitchen is the clean. The most important thing in your public restroom is the clean. From that basic, you make sure from the start of each day your customers will be safe and can enjoy the food you create, and a fine dining experience. Little known facts about "The Restaurant Industry" are that not all are healthy or clean.This is very sad indeed. All restaurants must maintain a clean and hygienic environment for the health and safety of employees and patrons. All aspects of a dining facility must be properly cleaned to make sure food preparation and handling take place every day. Restaurant managers have this in mind when they inspect all kitchen areas, eating and dining areas, and don't forget about the restrooms. Take a look at the photo above, there is no doubt this public restroom is very well taken care of and did we mention beautiful as well. This leaves a first time impression that all patrons will remember. Proper sanitation must meed local government requirements. Cleaning checklists, daily inspections, frequent deep cleaning, and proper food storage procedures in and out of the cooler are a must for the discerning food patron. Remember also that refrigeration, HVAC, storage solutions, foodservice appliances and all equipment are included in every inspection. Be prepared everyday to have a City official come and inspect your restaurant and you will shine all the time. Kitchen Area - The kitchen is one of the most important areas in the restaurant that must be kept clean every day. This area is exposed to a variety of possible contaminants and could be the source for illness if unattended. Cooks, servers, bussers and even cashiers have access to the kitchen and could potentially contaminate food products. It is also true that all uncooked food can poses health risks if surfaces are not cleaned sufficiently with proper chemicals designed for this purpose. To properly clean a restaurant kitchen, employees must sanitize equipment and surfaces that have come in contact with food and kitchen instruments; and this can be hired by a contract vendor for a franchise situation, or monthly options by additional staff. Cleanup after after each task is always a great idea. The state or local health department establishes the proper types of disinfectants and sanitizers kitchen workers should utilize when washing dishes, as well as the most basic storage techniques that will provide no opportunities for pathogens to develop. Kitchen items such as cutting boards, blenders, grills and countertops, storage containers, trays, tables, refrigerators, ice machines, filters, and really everything need to be disinfected. Dining Area & Front Of The House - Dining and eating area cleanliness is necessary for safety reasons first and foremost. The ability to maintain the overall appearance of the establishment being free from dust, grime, and dirty floors and walls is critical in making your dining patrons feel good about eating there. The dining room is the first area patrons see when they enter a restaurant. If you have a waiting area with seating or outside doors with a foyer, then pay particular attention to its cleanliness and smell. Many visitors may decide to leave if any of thes areas appear visually unsanitary. Restaurant workers can properly clean dining areas by thoroughly sanitizing the surface areas customer's come in contact with, such as bar tops, table tops and chairs, serving kiosks or buffet areas, beverage dispenser options, and dinnerware and silverware stacked for diners to use. Surface area cleaning should be done with clean towels that have not been used on surfaces in other areas of the restaurant, such as the restroom or kitchen. No contamination means in every area. It is also necessary to ensure condiment bottles and menus are disinfected regularly. Some city codes determine these issues. Sneeze guards, hot water tables, steam tables and the like usually mean everything you see must sparkle. Floors Ceilings & Walls - Dirty grimy restaurant floors are unsightly and pose a safety risk for restaurant employees and patrons. If you place large floor mats at entrances, keep those just as clean. Many eating establishments use outside services who bring in new clean mats on a regular basis. 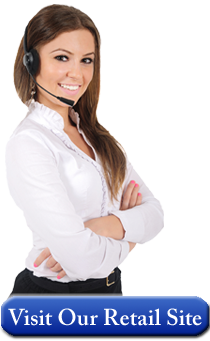 Be sure your staff sweep and mop with a great smelling germ killing chemical. Keep underneath booths and tables clean. Regular deep cleaning with soap, water and liquid bleach help remove soil buildup in tiles and grout. Don't forget floor drains. 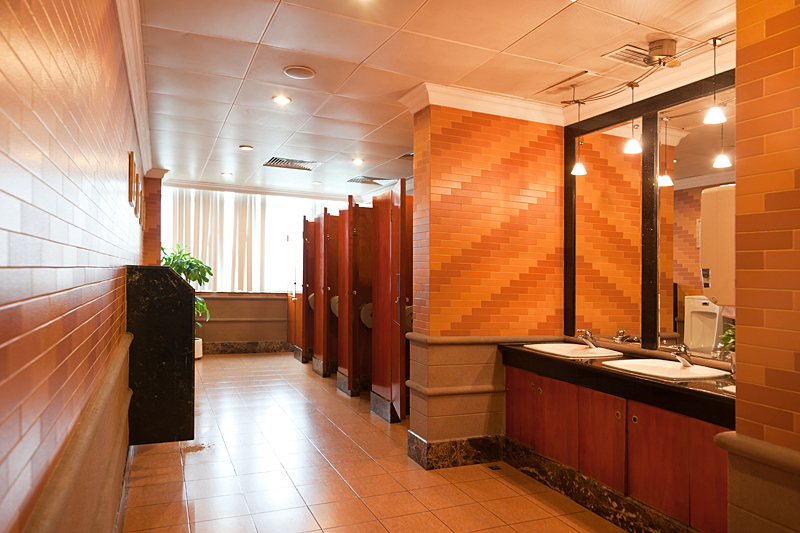 These areas are often overlooked and patrons remember their bathroom experiences. Don't be mislead thinking if you don't focus on the restroom, your best customer might also think you feel the same way about the kitchen and might decide not to come back if it gets too bad. If a spill occurs, workers must promptly section off the area, put up a proper sign to notify them of the issue, clean up the spill and allow it to dry to avoid a slip-and-fall incident. Restrooms & Hallways - Restrooms are another area that require frequent cleaning and maintenance and could happen every hour in high traffic malls, restaurants, and the like with high turnover rates. In most cases, restrooms are shared by employees and visitors alike and must have signage posted clearly. Vacuum all carpets and keep walls free of debris and sticky substances that may have been left behind from children. Properly cleaning restrooms helps prevent cross-contamination from all sources. Properly cleaning the restroom, employees must scrub toilet bowls and seats, drains, as well as the floor around the toilets. All door handles and sink faucets must be disinfected. Surface areas around sinks should be disinfected and dried. Dispensers for soap, paper towels and toilet paper should also be fully stocked. Posting a cleaning timeline of entry is a good option in mall settings, for fine dining make sure fresh flowers, and all the extras are made available to each person. It is your responsibility to maintain the restroom. This includes adequate toilet tissue for the entire night. Nothing is worse than not having any and could deter any future visits. Proper business etiquette is an essential quality for the restaurant industry. Business etiquette in the kitchen, front of the house, inside the dining room, and restrooms all require special attention. If you can't make it happen then you need to consider why you are operating this type of business. Accountability and responsibility go hand in hand. Inviting someone to dinner means they will receive the best your prepare. Serving the public is a daunting challenge. Regular dining guests mean you are doing it right. Full of scrumptious food, getting the best customer service, and a superior dining service without a long wait is what every patron hopes for. Communicate the best every day, keep it real and always get good marks!